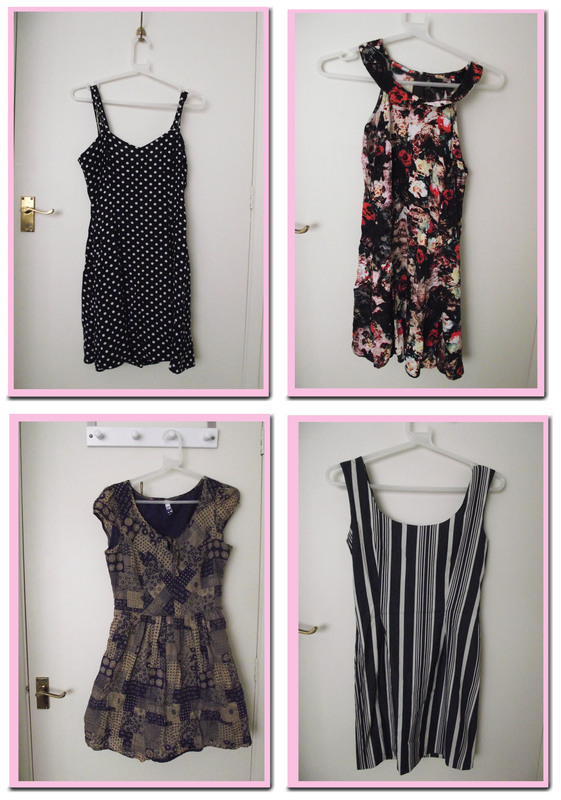 Thrifted Finds – 4 summer dresses that autumn will love. Everyone who know me will know that I love a bargain and what better place to find a bargain than in the back of your mum’s wardrobe and charity shops. Its the thrill of the find that makes charity shops so appealing; you can thrift through a lot of charity shops and not find anything but every once in a while you find that gem. One thing I love about fashion is every garment has a story and that’s why I love vintage and charity shop finds as they are memorable. I am going to have to do some personal style shots as I don’t think these images really show of the garments to its best. I have so many fond memories of this dress. My mum used to wear this when I was a child and it just so happened she usually wore it when when we went to the Zoo hence its nickname – the zoo dress. I adore this dress as its tight fitting around the bust (without being too tight) and the waist then it flares over the hips. I feel really feminine in this dress but also like how you can rock it up with a leather jacket and some black tights during the autumn. I couldn’t believe it when I stumbled across this dress for only £3 its one of the most flattering dresses I have ever wore. Its a shame it doesn’t photograph well here but it really nips you in at the waist and skims over the hips. I really like this cut as it flatters you no matter what your shape is. This dress is my new favourite and was perfect to wear at a recent barbecue I went to with a denim jacket thrown over the top. This 50’s style dress with an under layer is perfect for the day and it cost me £8 which is a little more than I usually like to pay but I fell in love with it in the changing rooms. I brought this dress for a London weekend and it was perfect for going in and out of museums and galleries in as its very smart casual without trying to hard. This has to be one of my most versatile dresses, I can wear it as a dress or I can tuck it into high waisted jeans. This dress has seen many nights out as it saves any “I don’t have anything to wear” moments. The cut is very flattering as unlike some body-cons its cut with a curve so its fits around the body with ease.